A belated Chanukah, Saint Lucy’s Day, Yalda. A full mooned Jesus and Jinnah’s Birthday… and wishing you an inspired 2016! 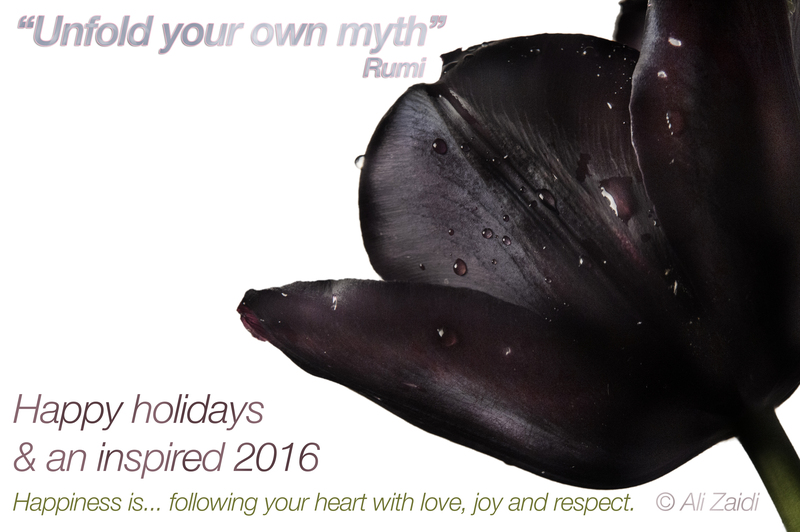 In the words of Rumi may you have the courage to “Unfold your own myth”.